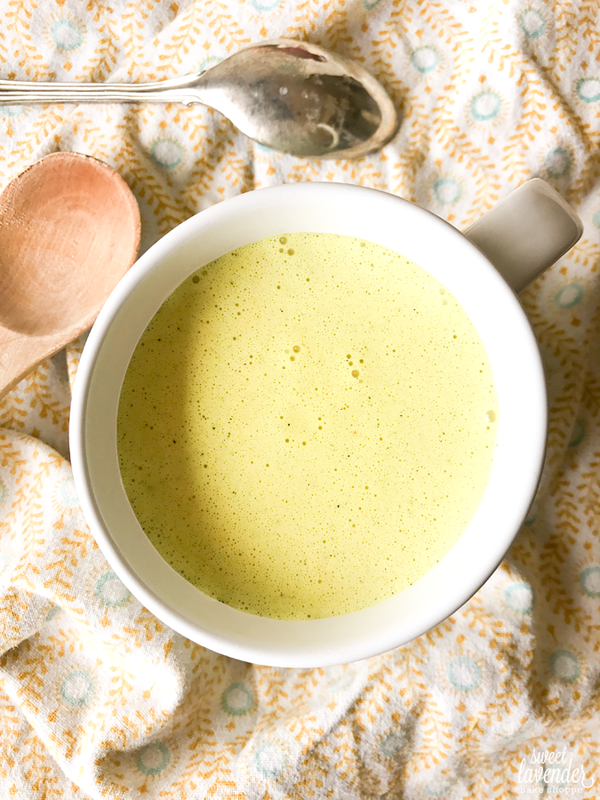 Golden milk, in the simplest way I can think to put it, is a turmeric latte. Like, turmeric powder and some sort of milk...heated and then frothed up in the most delicious way possible. 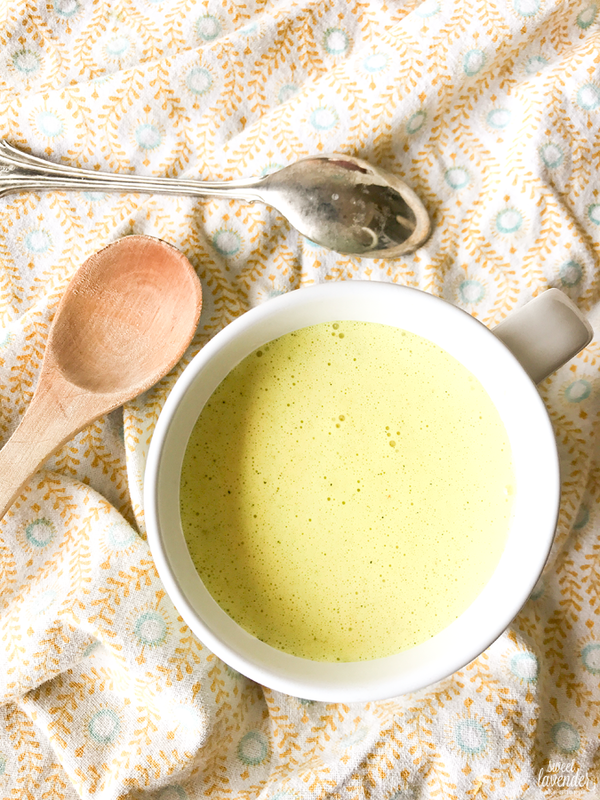 There seem to be as many golden milk recipes out there as there are people, but this is what I have found to be the tastiest (and most nutritionally dense) that I could possibly create. Because we all know how I love to pack in as many nutrients as possible. Let me break down my recipe for ya in a way that explains just exactly what you're getting in one delicious cup! I choose to use full fat coconut milk for my "dairy" of choice. I happen to love the flavor, but I also use it because I'm sensitive to almond milk. I sometimes make it with cashew milk too, but I find the full fat content in the coconut milk to make a richer, more satisfying, and creamy/frothy latte. Coconut milk provides good fats, improves heart health and cholesterol with its lauric acid, is a great source of plant-based iron and contains electrolytes! Dates provide the unrefined sweetener here and also add a boost of essential minerals such as calcium, iron, phosphorus, sodium, potassium, magnesium and zinc. The beloved turmeric! Pretty much the best thing for any sort of inflammation, turmeric is also amazing for depression, arthritis, lowering blood sugar, helps with healing the gut, good bacteria (probiotic) growth support, and cholesterol regulation! Whew! I love the taste of cardamom (a little goes a long way) and decided to add it to sort of pay an homage to my husband's Scandinavian side :) It's a great spice to help combat nausea, acidity, bloating, gas, and heartburn! Cinnamon again adds a nice little warmth to our latte! I actually have recently become a bit sensitive to it (woe is me!!!) so I've been leaving it out. It's amazing with it added or not. As we all know, cinnamon is amazing in that it can lower blood sugar levels. Gelatin Collagen Hydrolysate. What in the world is that? Well it's collagen (gelatin) from an animal, that provides some of the best sources of protein and amino acids. Make sure whatever brand you use, it's from a clean protein source. I love the Great Lakes brand because it helps regulate the body's metabolism, builds connective tissue in hair, skin, and nails, contains 90 percent protein and is cold water soluble. Plus it's from pasture raised, grass fed beef. They have porcine as well, but we choose the beef kind. Plus, plus, it's on Amazon which is super easy for us. We use it daily in some sort of way to help battle inflammation, joint and muscle pain! Plus it gives everything that nice protein boost. Luke is so used to it now that he likes to dip his fingers in the powder while I'm using it and lick, haha. Hemp hearts contain 33 percent protein, 9 percent omega-3 essential fatty acids, and are an excellent source of iron, vitamin E and GLA (gamma-linolenic acid), an Omega-6 fatty acid. SO! All that to say, this is good stuff. Definitely golden. Golden cups of delicious healthy, body nurturing milky goodness! 1. Add all ingredients into a high powered blender and blend on high for 1-2 minutes, until dates and hemp hearts are completely combined and it's nice and frothy. Poured over ice cubes for a refreshing cold drink. Poured into a small saucepan and gently warmed over medium low heat. Then poured into a mug. This is my preferred way!